The Litehouse Foods Struggle is Real Sweepstakes is open only to legal residents of the United States and Canada (excluding Puerto Rico, Quebec, Canada, Rhode Island, Florida and New York and all U.S. territories) who are 18 years of age or older. 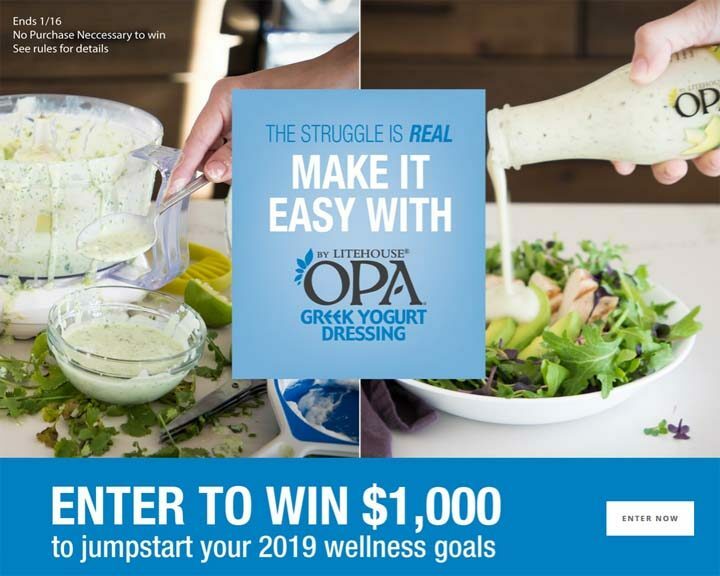 The Litehouse Foods Struggle is Real Sweepstakes ends at 11:59:59 p.m. PT on January 16. To enter, visit litehousefoods.com/sweepstakes and complete the entry form. One entry per person, per day. One (1) prize available: $1,000 Visa Gift.